Bosco in the central mountain town of Orocovis, Puerto Rico. 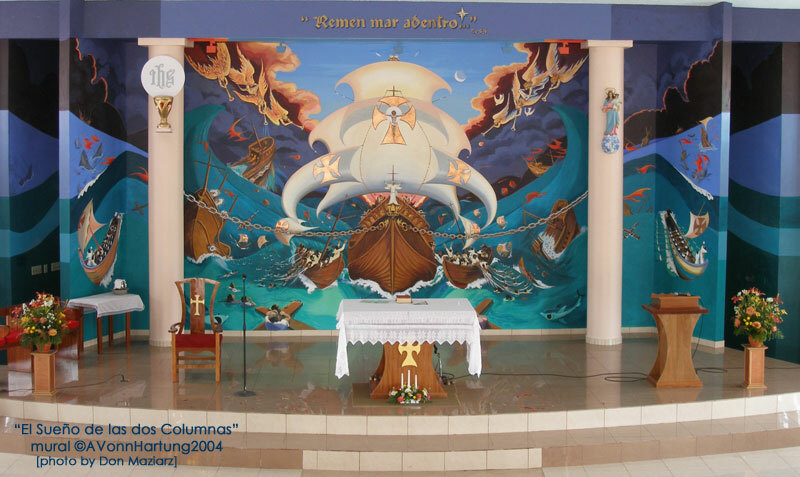 Entitled The Dream of the Two Columns, the mural depicts “a dream St. John Bosco (1815-1888) had about the Church. The Italian priest, visionary and founder of the religious order of the Salesians, San Juan Bosco said the dream foretold the trials the Church would face, yet survive, through faith and the power of the Holy Eucharist and Mary’s intercession. 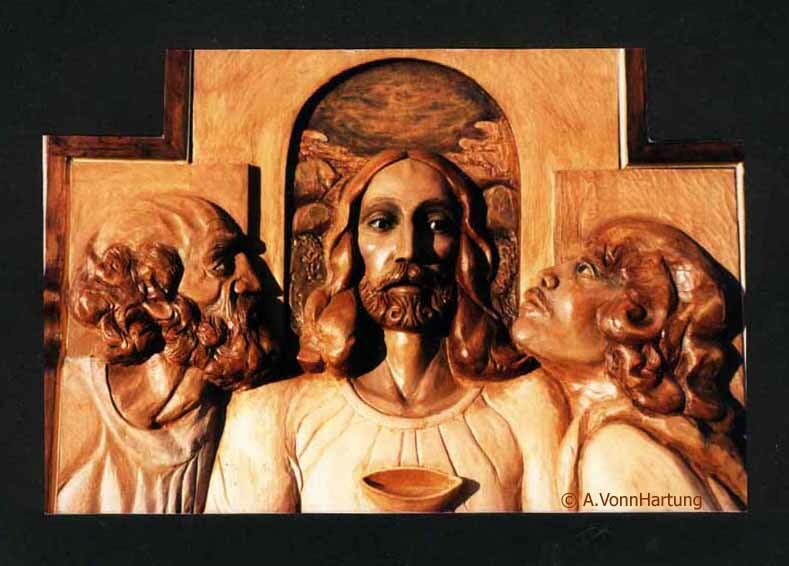 Published 8 August, 2014 at 800 × 477 in Murals and Retablos.